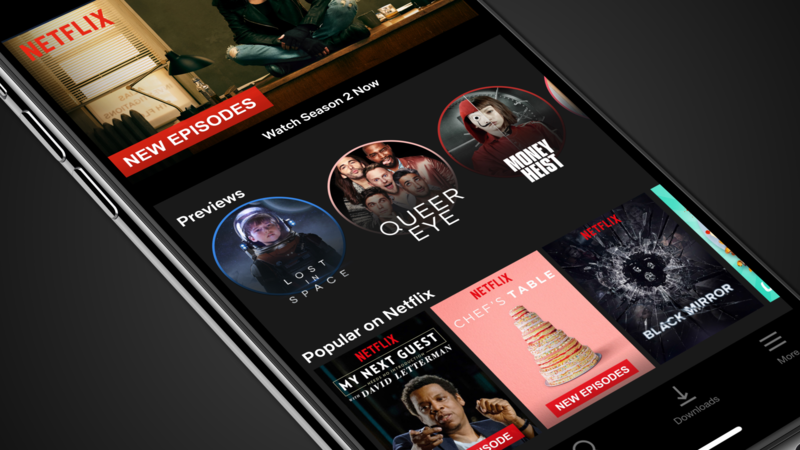 The concept of trailers for movies and TV shows has existed for longer than time itself, but Netflix is looking to add a bit of modern flair to promote its newest content. Mobile previews, announced today, are vertical videos approximately 30 seconds in length that aim to help customers find something to watch more quickly. The feature is coming soon to Android. If you're not sure what to imagine, think Snapchat or Instagram stories. The mobile previews will be shown in a slideshow-type format; you'll be able to start playing the show straight from the preview, or you can add it to your list to watch it later. And if you're not interested, you can just swipe or tap the screen to move on to the next preview. The previews will be personalized to each viewer's tastes. They're launching today on iOS, but us Android users will have to wait a bit longer to see them.